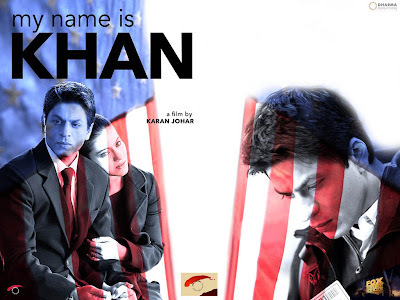 In one of the most highly anticipated releases of recent times the King Khan of Bollywood returns to play Rizwan Khan an Indian immigrant to the US. Rizwan has Aspergers syndrome, a mild form of Autism, he can 'repair almost anything' he believes ardently in the advice his mother gave him: 'in this world there are either good people or bad people' Rizwan strives to be a good person and see good in others and spread love and good will. Indeed this is all very heart warming. Rizwan is able to win over the woman of his dreams, love her child as his own, charm his neighbours, impart knowledge to those who think him 'slow', demonstrate good citizeniship and pride in his adopted country. However the catastrophe of 911 is followed by tragedy in the lives of Khan and his family. Leading him to undertake a journey to explain his faith and to prove to the world and the the US president that he is not terrorist and to win back the love of his life. I liked many things about his movie it was truly refreshing to see Muslim protaganists just being fairly normal Muslims. Rizwan tries hard to be good son, brother, husband, father and a good practising Muslim too. His sister-in-law played by Sonia Jehan is a hijab wearing psychologist, educated, articulate and devout, when she describes her hijab as not simply a cover but part of her existence I could have cheered! Nice quotes from the Quran are imparted to the audience. The scene where Rizwan prays publicly and proudly at a rest stop was truly soul-stirring. Similarly the scenes where Rizwan is met with suspicion and the reactions of Americans towards him were sometimes funny sometimes chilling but all too realistic. The way in which Rizwan manages to transit through hurricane hit Georgia and help the people there, reminded me of the true story of a brother named 'Zeitoun' in New Orleans I wondered if the film makers had been inspired by his amazing story. The chemistry between Kajol and SRK is as crackling as ever. SRK certainly pours his heart and soul into this character and makes him both authentic in his portrayal and likeable in his innocence. Overall the message here was that Muslims must be good examples of their good faith, certainly a message I agree with. There were some things I didnt like about the film: the way in which Rizwan walks into a seemingly normal local mosque and they are preaching violence and hate. The fact that he marries a Hindu girl, it is wrong and yes i know it happens, but the love story between a disabled man who loves a single mother and her son is beautiful, so I would allow them this artisitic licence. And we all know SRK is happily married to his Hindu wife I felt as if he he needed to reflect this in a sort of Hindu-Muslim unity plug. The scenes where Rizwan was kept in detention could have been more suitably harrowing and realistic. However I guess for a family movie this was slightly glossed over. The way in which African-Americans were portrayed was cetainly stereotypical, and made me rather uncomfortable, really they should have dont a better job with those characters and scenes. Karan Johar says he was bored with Bollywood so he set out to make a different sort of film exploring more serious subject matter. To an extent he suceeds however he still manages to dot the movie with the melodramatic and often unbelievable kitsch of Bollywwod escapism. But for many that is what makes them love Bollywood! For others it can be cringeworthy. Many will insist this movie has a pro-secular humanist message however I found it to be simply about love and faith.